Researchers report that antibiotic resistance genes used in Chinese molecular biology and genetic engineering experiments may have reached the environment. In six Chinese rivers, researchers found bacterial DNA carrying these synthetic genes (Environ. Sci. Technol). Still experts call for more studies to confirm the results and pinpoint specific sources of the genes. Heavy use of antibiotics in hospitals and on farms has polluted the environment with bacteria carrying genes that confer resistance to the drugs. Once in the environment, the microbes can quickly transfer the genes to other bacteria, leading to antibiotic-resistant strains that can cause severe and sometimes untreatable infections. But these resistance genes also are cheap, powerful tools for biologists. In so-called molecular cloning studies, researchers introduce the genes into synthetic versions of plasmids, which are small, circular molecules of DNA found in bacteria. The synthetic plasmids also include another gene that the scientists want to study. By treating the bacteria with the antibiotic, the researchers can ensure that the microbes that survive contain both the resistance gene and their gene of choice. To make sure that the plasmids don’t escape the lab, academic institutions in the U.S. follow special procedures to treat waste from the experiments before disposing of it: They kill any remaining microbes with high heat and sometimes then incinerate the waste. 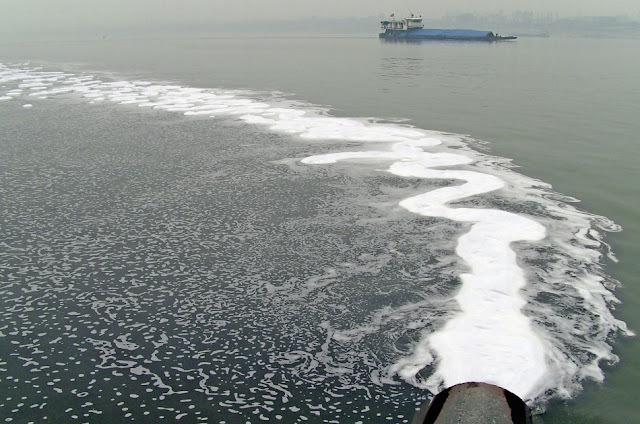 Researchers sampled six rivers (A through F) throughout eastern China and found synthetic antibiotic resistance genes in all of them. Industrial scientists have also used molecular cloning to engineer crops and bacteria for biofuel production and environmental remediation. To prevent the spread of antibiotic resistance, however, most genetically modified crops are now produced without these genes. But because this technique is still commonly used in molecular biology labs, some researchers have been concerned that these experiments could release resistance genes into the environment. To search for antibiotic-resistance genes introduced by synthetic plasmids, Jun-Wen Li at the Institute of Health and Environmental Medicine, in Tianjin, China, and his colleagues took water samples from six Chinese rivers downstream of densely populated cities. They extracted plasmids from the samples and transferred the DNA into Escherichia coli. Then they screened the bacteria for a gene commonly used in academic and industrial labs that confers resistance to the antibiotic ampicillin. To determine if a gene in a sample came from a manmade source, they used polymerase chain reaction to look for sequences unique to several synthetic plasmids. The researchers found synthetic resistance genes in all six rivers. Of all of the ampicillin-resistance plasmids they found in the rivers, about 27% had the synthetic vector-sourced gene. Justin J. Donato, a biochemist at the University of St. Thomas, in St. Paul, Minn., says the study provides the first definitive evidence that genetic constructs from the lab have reached the environment. Given that no one previously had reported observing these synthetic plasmids in the environment, Donato is surprised by how prevalent they are. He says the study requires replication especially to rule out the possibility of sample contamination from plasmids already in Li’s laboratory.